George Dallas Marshall died on this day in 1918. 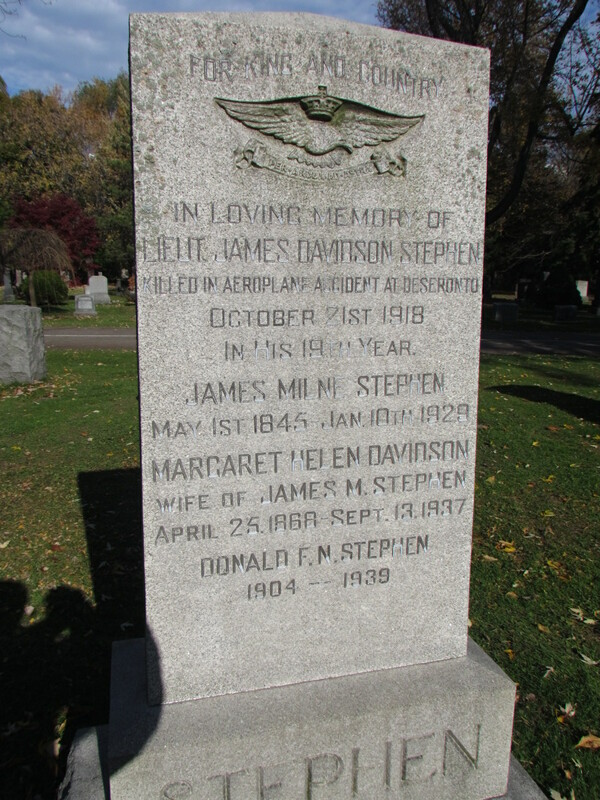 He was a cook, employed by the Royal Air Force at Camp Rathbun and he died of influenza and pneumonia at the Camp Rathbun hospital in Deseronto. RAF records have his date of death as October 19th, but the death registration states October 20th. Marshall joined the Royal Flying Corps on January 12th, 1917 as a 3rd Air Mechanic with the regimental number 53984. He was promoted to 2nd Air Mechanic on July 1st, 1917 and 1st Private when he was transferred to the Royal Air Force on its formation on April 1st, 1918. Marshall was born in Ayr, Scotland on September 30th, 1898, the son of Thomas Ganson Marshall and Catherine (née Dallas). Catherine’s home address was 24 Hill Street, Aberdeen, Scotland. She was born in Canada. 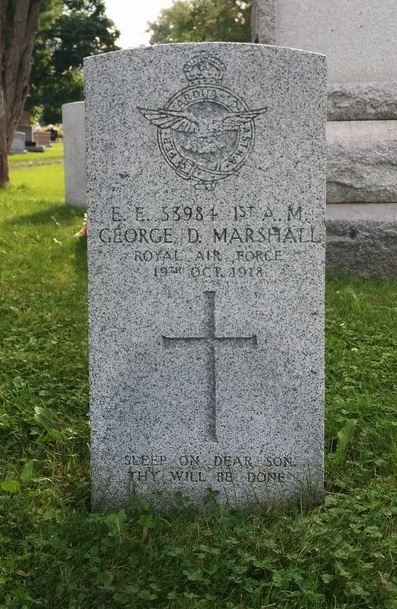 George was buried in Deseronto Cemetery, in the Royal Air Force plot. 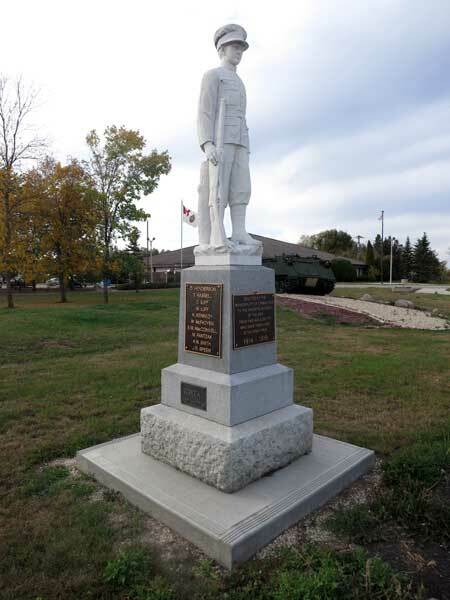 Casimer Krolikowski died at the Royal Air Force hospital in Deseronto on this day in 1918 from influenza and pneumonia. He had joined the Royal Flying Corps on June 11th, 1917 in Toronto and had previously served in the Cycle Corps, originally enlisting in Windsor on February 9th, 1917. He was a machinist by trade and worked as a fitter for the air force, maintaining and repairing aircraft engines. He was five feet five and a half inches tall, with a fair complexion, blue eyes and dark brown hair. Krolikowski was born in Warsaw, Poland on January 13th, 1891, the son of Ludwik and Franciszka Krolikowski. Casimer arrived in the United States with his mother and siblings in 1903 and the family were all living in Detroit at the time of the 1910 US census. Casimer was buried in the Greenwood Cemetery (Sacred Heart of Mary Cemetery) in Detroit. The bodies of two brothers, Paul S. Conroy and Thomas Emmet Conroy, both victimes of the influenza scourge, lie in the one mortuary chamber at their parents’ residence, 48 St. Louis square. Both were attacked with the disease while in training in Ontario aviation camps. Much sympathy was expressed on all sides yesterday for the bereaved family. A double funeral will take place this morning to St. Patrick’s Church and thence to the Cote des Neiges Cemetery for interment. 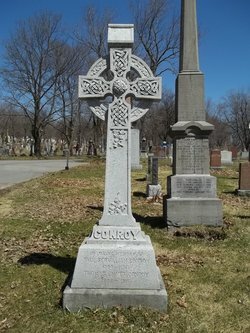 Thomas Emmet Conroy, aged 22 years, and youngest son of Mr Thomas Conroy, died at Mohawk Camp, Deseronto, on Saturday afternoon. His brother, Paul S. Conroy, notary public aged 28 years, died at the base hospital at Toronto on Friday morning. 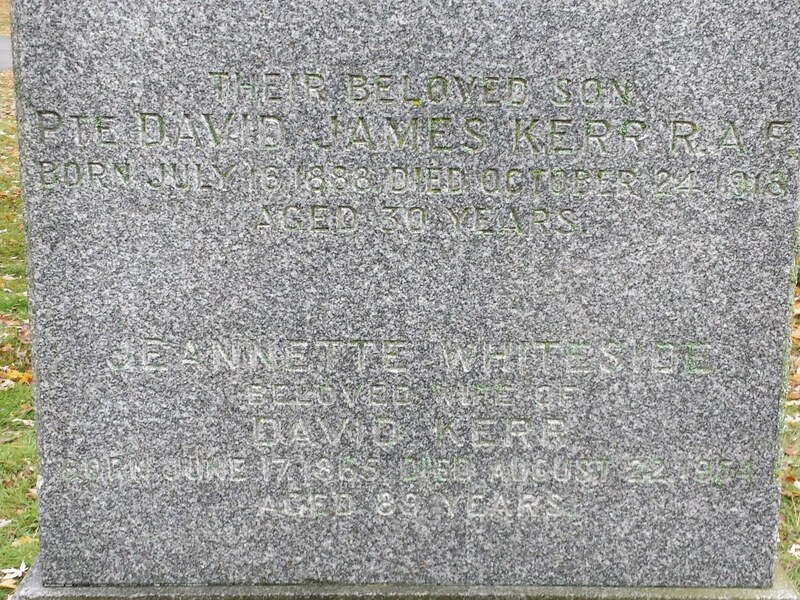 Both brothers succumbed to an attack of influenza, which developed into pneumonia. The body of Paul arrived in Montreal from Toronto on Saturday night, and the remains of his brother Thomas Emmet, reached here on Sunday morning. Paul was born on December 24th, 1890. He had originally been drafted on July 22nd, 1918 with the regimental number 3089636 but transferred to the RAF on August 3rd. Emmet was born on October 27th, 1895. Their parents were Thomas Conroy and Mary Ann (née Smith). The men were buried in the same grave in the Cotes des Neiges Cemetery in Montreal.